Card Text Each time a creature is destroyed, its owner gains 1 . 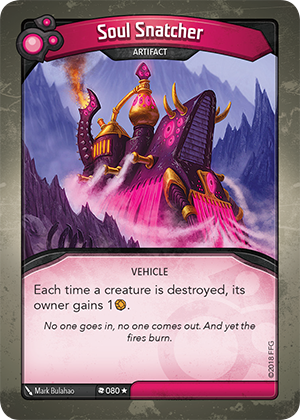 Flavor text No one goes in, no one comes out. And yet the fires burn.